If you haven’t yet discovered the hairdryer brand, Parlux, prepare to get blown away (silly pun intended). I was introduced to this super powerful and incredibly efficient hairdryer by my hairdresser a few years ago and I’ve never looked back. 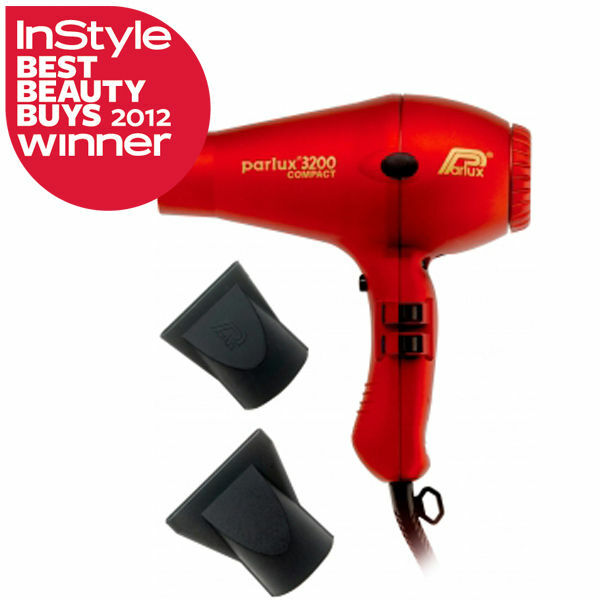 What’s more, I subsequently started noticing that each and every hair salon I’ve visited (whether in London, New York or Cape Town) uses Parlux, and only Parlux, hairdryers. No wonder it’s seen as the No 1 choice of hair care professionals. Once you’ve used it, you’ll see what all the fuss is about. A word of warning, though: you’ll probably end up like me, lugging it around with you wherever you go (all other hairdryers, especially the ones in hotels, simply don’t compare). There are various models but the one which has gained the most international awards and media attention is the Parlux 3200 Compact which features a super-powerful 1900 watts motor, yet weighs only 490grams. I call it The Little Hairdryer That Could. Awards In Style Best Beauty Buys Winner 2012, Your Hair Awards Winner 2012, Hair Awards 2012. SA Try your nearest Partners Hair Design (there’s a branch in the V&A Waterfront, Cape Town) that stocks them. International Buy online at www.parlux.co.uk (if you live in the UK) or www.parluxus.com (if you live in the USA). After reading about this awesome hairdryer on your blog I stumbled across it at Partners Hair Design in the V&A waterfront they sell it to the public…great blog Clare! Thanks Dejane, I have updated the post to include this very useful information!